British Overseas Airways Corporation (BOAC) was the British state-owned airline created in 1939 by the merger of Imperial Airways and British Airways Ltd., and one of the four airlines that merged to form the new British Airways in 1974. 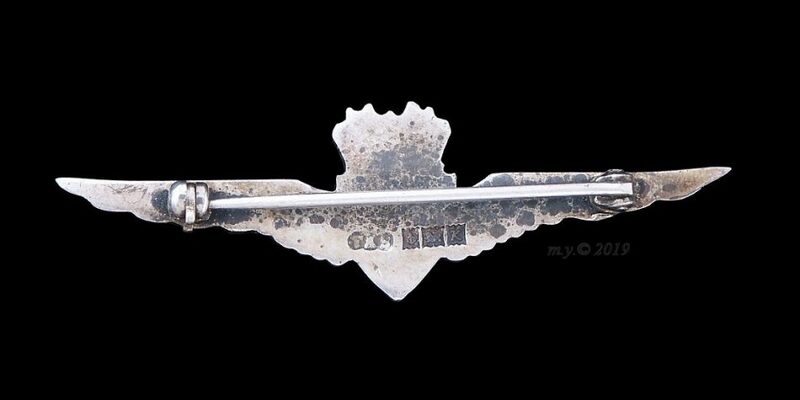 Above: BOAC Flight Attendant Cap Badge. 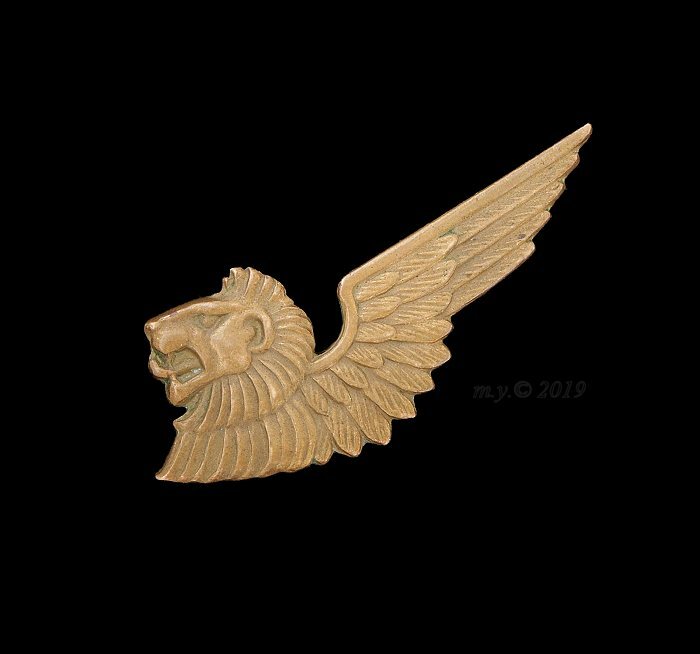 In brass, a single winged lion’s head. 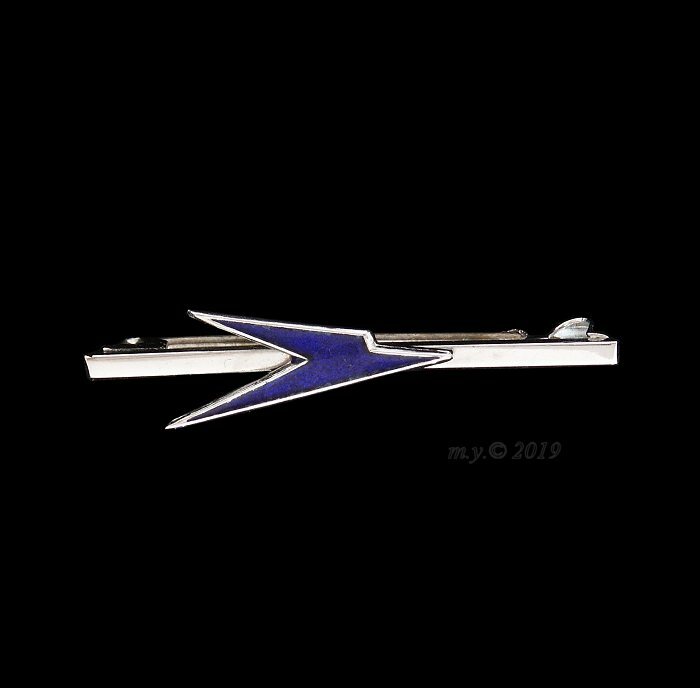 Above: A BOAC ‘Speedbird’ design brooch in blue enamel and chrome. 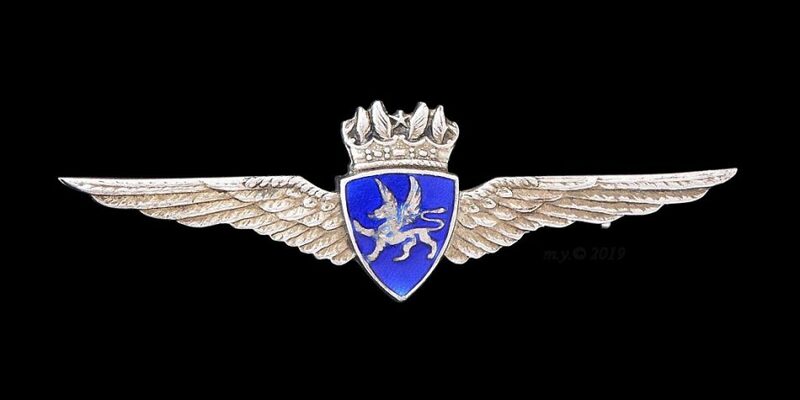 The 1932 designed corporate logo was originally used by Imperial Airways, re-used later by BOAC and British Airways. 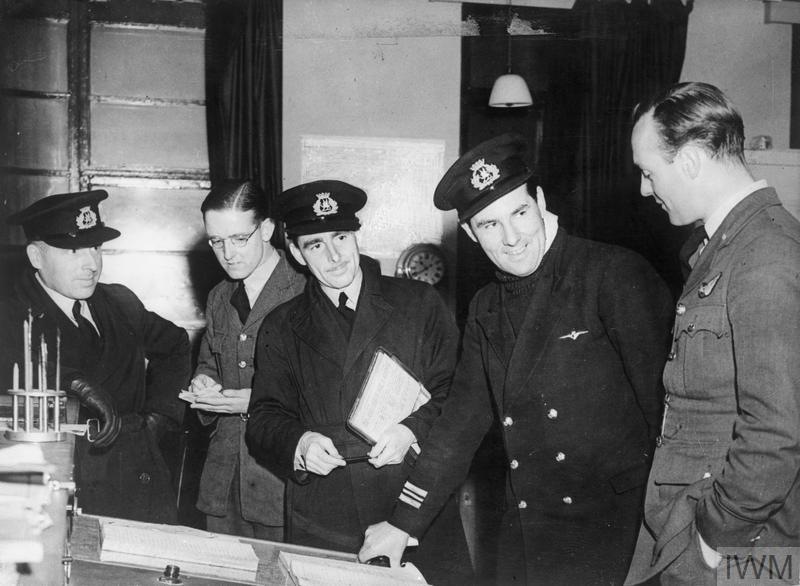 The crew of a BOAC De Havilland Mosquito confer with RAF flying control officers at Leuchars, Fife, before starting a night flight to Stockholm Sweden. 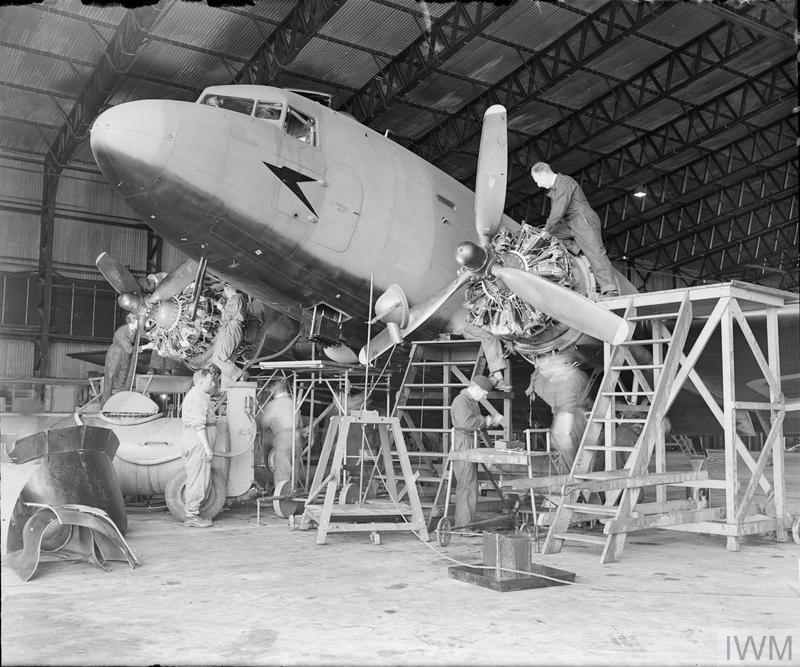 Mechanics overhaul the Pratt & Whitney Twin Wasp engines on a Douglas Dakota of BOAC in a hangar at Whitchurch, Hampshire.